We all want flawless skin. Aesthetician to the stars Joanna Vargas can help us all achieve that beauty goal. Everything She Wants' regularly visits her understated salon in New York City for anti-aging and acne-fighting facials boosted by microdermabrasion, oxygen and LED light therapy. And my skin always looks brighter, firmer and younger after each visit. Now everyone can get the Joanna Vargas spa treatment at home. 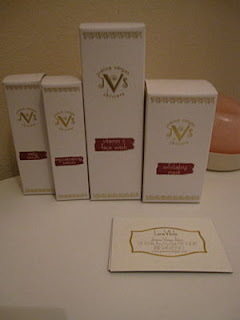 In 2011, Vargas launched her own, antioxidant-infused skincare line. The four natural products in the line -- Vitamin C face wash; Daily and Rejuvenating Serums; and an Exfoliating Mask -- contain what she calls "the building blocks for a radiant complexion." All the products aim to speed up cell turnover, erase fine lines and tighten the skin. I especially love the mask (it's more like a scrub), which uses fruit derived enzymes and a fusion of volcanic ash and mineral-rich clay to gently draw out impurities. It evens your pigment and skin texture, refines your pores and softens your skin. 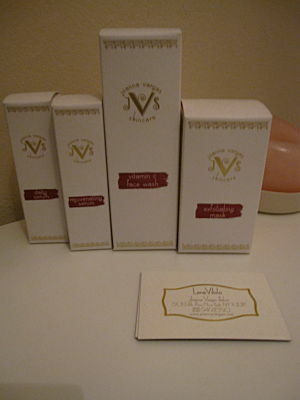 All Joanna Vargas Skincare products can be purchased on her website. I have tried one of her products and let me just say that I am pretty impressed with the results. However, I am not sure if its safe for those who just had diamond peel treatment.